Are you tired of spending lots of money on recruiting and not getting results? Have you tried all the expensive ways to recruit and still not getting the caliber of employee that you need? Can you imagine a recruiting strategy and plan making finding employees easy and costing significantly less? Could it be that your work environment is not what it should be? Would you like help in building it? 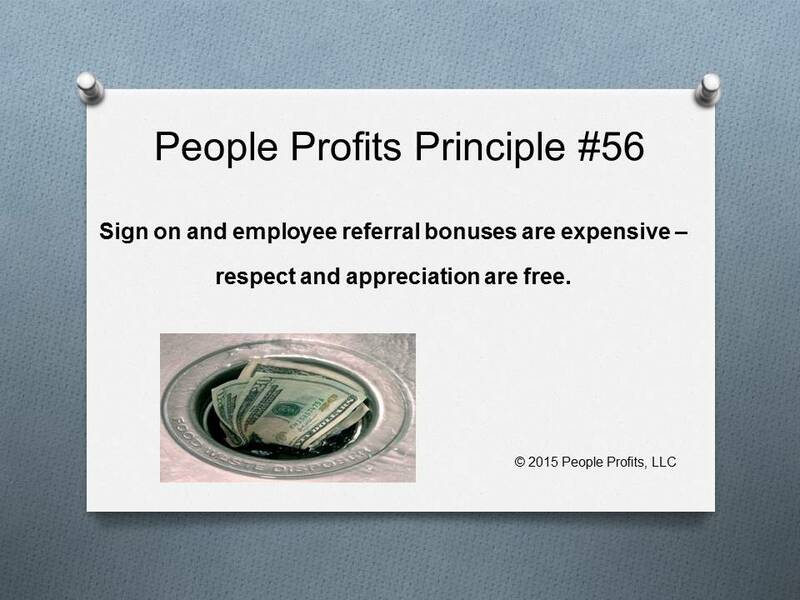 Many organizations offer sign on and employee referral bonuses when the root problem was a lack of respect and appreciation being given to the current employees. Therefore, they are spending money when the root problems can be solved for nothing - but a mindset change. If management would sincerely show respect and appreciation for their employees - the employees would gladly recruit for them for nothing.